Check out three more behind the scenes videos for Coraline, available on Blu-ray and DVD 7/21. 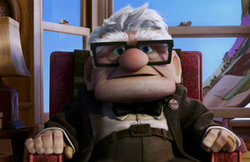 All releases include the 2D and 3D versions of the movie plus 4 pairs of 3D glasses. And if you haven’t seen the videos from volume one, go check them out! The fine folks over at Universal have sent over four behind-the-scenes videos of the making of Coraline, coming to DVD and Blu-ray Disc July 21st. The release includes 2-D and 3-D versions of the movie plus 4 pairs of 3-D glasses with every copy. Collider: [Coraline’s] story always reminded somewhat of “Alice in Wonderland”; […] Do you see the story as something that could stick around and have, over years and years, more adaptations? Neil: I don’t know if, as an author, you’re ever allowed to ponder that. 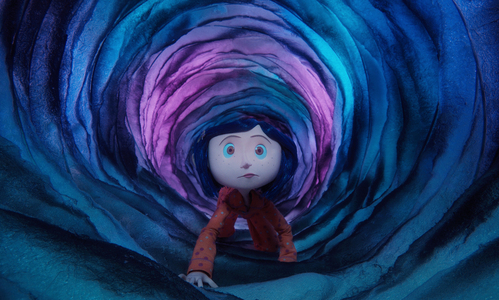 The joy for me with “Coraline” is watching the number of adaptations it’s already had and that it keeps getting. I mean, there’s been puppet theater. Places like Poland and Prague have been doing puppet versions of “Coraline”. There’s a musical version coming out in June with Stephin Merritt of the Magnetic Fields and the Gothic Archies doing the music. Which all sounds 180 degrees from everything that Henry [Selick] did and still sounds amazing. Coraline is played by a large, 50 year-old lady. The Other Mother is a drag queen. It just sounds awesome. Read the full interview over at Collider. Coraline: official site launch, featurettes and more! From Henry Selick, director of “The Nightmare Before Christmas,” and based on Neil Gaimanâ€™s international best-selling book, comes Coraline â€“ the first stop-motion animated feature filmed in 3D! 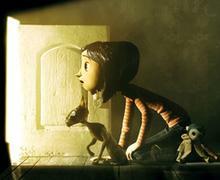 Coraline arrives in theaters nationwide on Februray 6, 2009. In anticipation of the upcoming release, Focus Features recently launched the official website for Coraline which includes tons of places to explore, including the Other Motherâ€™s Workshop where you can upload your picture to see what you look like in Coralineâ€™s world. If you click around, youâ€™ll uncover hidden behind-the scenes videos and goodies to download. Visit the official site here. Below are six new Coraline featurettes along with new images. In viewing these videos you can meet the cast, see how the puppets were made and hear from the crew first hand what it was like to work on the set of the film. 12/29/2008 | Films, Trailers/Videos | Comments Off on Coraline: official site launch, featurettes and more! From Henry Selick, director of ‘The Nightmare Before Christmas,’ and based on Neil Gaimanâ€™s international best-selling book, comes the first stop-motion animated feature filmed in 3D. Coraline Jones (Dakota Fanning) is bored in her new home until she finds a secret door and discovers an alternate version of her life on the other side. On the surface, this parallel reality is eerily similar to her real life and the people in it â€“ only much better. But when this seemingly perfect world turns dangerous, and her other parents (including her Other Mother voiced by Teri Hatcher) try to trap her forever, Coraline must count on her resourcefulness, determination and bravery to escape this increasingly perilous world â€“ and save her family.